Protein shakes are always popular among athletes and bodybuilders because of the benefits they bring. If you browse around, you’ll surely find a wide array of protein products in the market. So, why is protein a main favorite of these people? For one, protein is a component known to be very helpful in muscle-building. The body uses protein to put together different body structures that make up our body cells. Protein is very helpful in terms of muscle growth, healing and repairing body cells and tissues, as well as improving our cardiovascular functions. Simply put, protein shakes are popular because they help bodybuilders avoid serious muscle injuries from excessive training. Taking in the right amount of protein helps the body take advantage of healing properties that can repair worn out muscles quite quickly. Because of their muscle-healing properties, protein shakes are highly recommended as post-workout supplements. In addition, protein shakes are also a favorite as they are easier to digest and, hence, are quicker to reach body muscles in the process. This way, the body is able to recover quickly after the intensive training. They help restore muscle glycogen that the body uses up during trainings and physical exercises. Apart from bodybuilding, however, protein is also useful in weight loss. It can facilitate the burning off of body fats while helping the body maintain its muscle tone. Consuming protein shakes also tends to make you feel full, so you’ll most likely eat less afterwards. Because of the low fat protein it provides you, your body is able to consume fewer calories and help facilitate weight loss. While protein shakes are ideal for weight loss, it can also help you gain weight. This is because protein can help speed up metabolism and build muscles in the process. While these muscles contribute to your weight gain, you have to remember that they are better in terms of burning off fats and calories. The more muscles you have, the more your body is able to effectively burn off unwanted fats and calories. 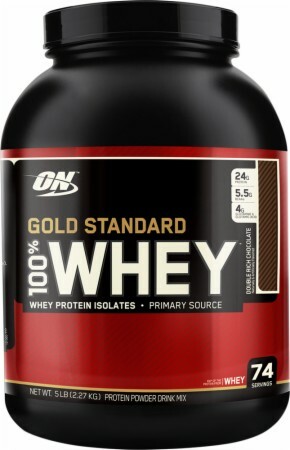 As mentioned earlier, it’s very easy to find protein supplements and products in the market these days. You can find protein in a variety of forms such as milk, soy, and whey. Apart from protein shake powders, it’s also quite easy to prepare protein shakes and add other types of healthy foods like fruits and milk. Nevertheless, remember that too much of everything is always bad. While they have special benefits, it’s highly recommended not to rely entirely on protein supplements. You also need to maintain a balanced and healthy diet. And, of course, get advice on how much is ideal to take. You can know more about protein shake here or visit fitness forums and websites for more info. for Nutrition Warehouse website. You can know more about and find more supplements by visiting the nutritionwarehouse.com.au. This entry was posted in Health and Nutrition, Nutrition, Weight Loss and tagged bodybuilding, Bodybuilding supplement, muscle, protein, Protein Shakes, weight loss by Russell Jensen. Bookmark the permalink.